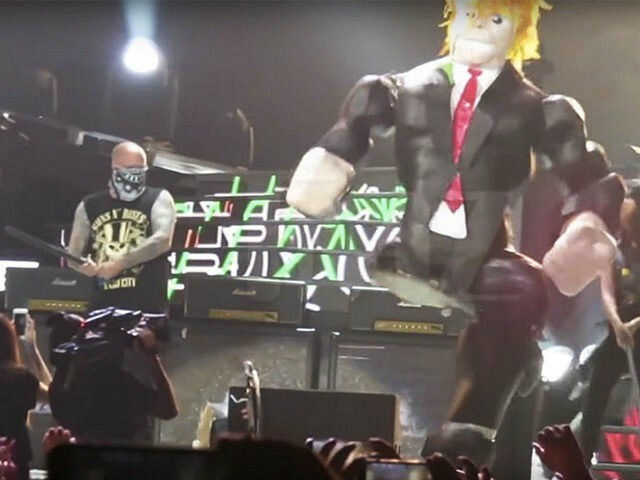 Guns N’ Roses invited fans at their Mexico City concert this week onstage to beat a giant piñata bearing the likeness of Republican President-elect Donald Trump. In video obtained by TMZ, GNR frontman Axl Rose is heard encouraging fans to do whatever they like to the piñata, which has become a popular form of protest against Trump over much of the past year. Rose is not a fan of Trump. Beating Trump piñatas has become a popular way for the President-elect’s critics to register their anger, but Guns N’ Roses isn’t the first musical act to encourage the practice. In September, rapper YG — whose song “F*ck Donald Trump” became a popular protest song during the presidential campaign — did the same thing at a concert in San Diego.